Paper Machine Makeup Air Filter Housing – FCM Products Inc. This paper machine makeup air filter housing unit is designed to hold charcoal filters which purify the air in the plant. 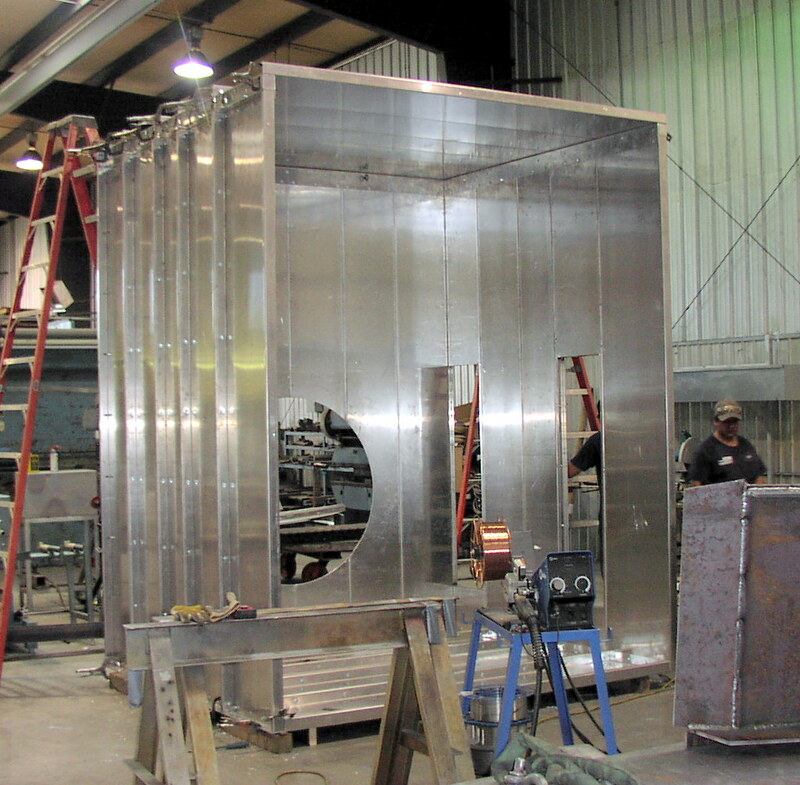 This one was constructed of 1/8″ aluminum and has access doors built in. Built for a paper mill in Mansfield, Louisiana in December 2008, this until measures 12′ tall x 8′ deep and 10′ wide.